Earlier today we brought you a sale on select Rubbermaid products. Now we’ve got another cleaning-related deal that’s too good to sweep under the rug. 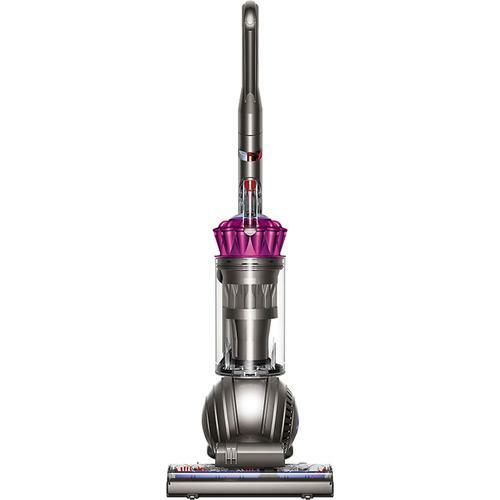 You can get the Dyson DC65 Animal Complete Bagless Upright Vacuum from Best Buy for $486.99 (regularly $649.99). This gray/fuchsia bagless model, which boasts high reviews from satisfied customers, is ideal for carpets, hard floors and stairs. In addition to the product itself, the vacuum comes with a combination tool, stair tool, soft dusting brush, tangle-free turbine, still bristle brush, multi-angle brush, Zorb carpet maintenance powder and tool bag. Plus, you’ll be able to take advantage of the retailer’s free shipping on orders of $35 and up. Get this deal from Best Buy.